Hello Loves. I have a fun little mani to show you today that uses not one, but two thermal polishes! Needless to say, with double the color change I had a little fun with this one and took a ton of photos, to the point my fingers were waterlogged by the end from forcing the color shift under my hot lights. Details to follow as usual. I started with a base of Gel II Reaction in Shark Bite. I haven't shown you a Gel II polish yet, so I'll give my thoughts on application, wear and removal in a minute. First, let me show you this gorgeous blue to purple thermal changing cream polish. When warm, it is an awesome, bright blue. As it cools, it starts to shift to a deep, royal purple. Gel II Color Selection: They have a HUGE range of colors in both the regular gel line and the Reaction lines. You can see them here. Not to mention Gel II Rave, which is a really cool glow-in-the-dark topper. I used Rave in this mani last Halloween. Gel II Application: The gel is thicker than a lot of brands, so getting a thin coat can be tricky. I find warming the gel a bit before applying is key. This particular color (Shark Bite) did give me a bit of shrinking at the tips on the first coat, but I haven't had that issue with any of the other colors I've personally tried. Coverage is nice and it applies streak free. Gel II Wear: I couldn't be happier with the wear for Gel II. Seriously, it wears like iron for me. Very little if any tip wear after 2 weeks and the colors I have tried remain true as the day I applied them. Gel II Removal: This is where Gel II loses a ton of points in my book. It is designed to be a base and color combo gel, meaning it doesn't require a base gel. My advice to you - use one anyway. Without a separate base gel, soak off is difficult. I would almost even call it a nightmare. If I recall correctly, it took over 40 minutes to soak off when I tried it without a base gel. With that said, over a separate base gel it does remove faster, though it still takes longer than my usual soak off. Also, breaking the seal of the top coat is huge with this one. If you don't break the seal, you could be soaking off for an hour or more. So, how does Gel II stack up on a scale of 1-5? Ok, so back to the mani. 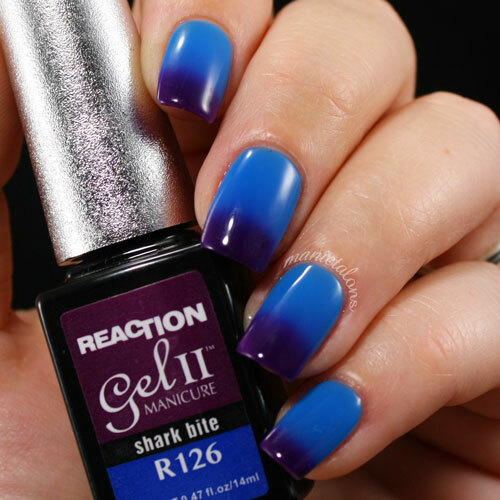 I then stamped over Shark Bite with Dance Legend Thermo 172. I didn't think to swatch the Dance Legend for you before I applied the Gel II, but I did swatch it on a stick. The shift on this one is subtle and was very hard to catch on the stick itself. When warm, it is a nice, shimmery silver. When cold, it shifts to a red-toned purple. Here's another shot with the stamping. This one is extremely hard to capture in a picture in the warm stage, and the subtle shift is even more subtle when stamped. So let's take a look at the fully cold version. You can see the purple tone of the stamping much better in this one. My thumb also started to shift back before I could take the picture. Turns out even with a handful of ice, thermals don't like to stay cold under 4 bright lights. The lights were making this on shift around so quickly, I was able to stick my hand in ice water and then take a photo every 2 seconds to show you the shift in action. How fun is that?!?! 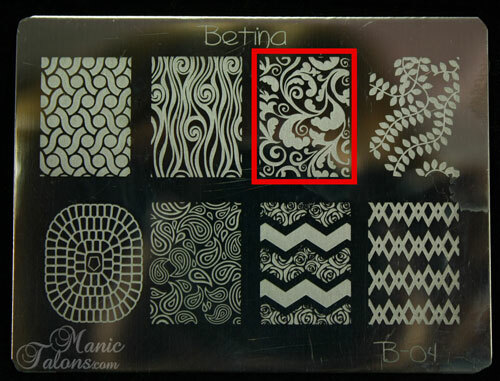 Finally, the image I used for the stamping is from Betina 04. Excuse the scratches. This little plate has seen a lot of love! It is the only Betina I own, but the quality is excellent and the images stamp perfectly every time. The etching is a little deeper than some of my other plates, but I love that as it makes it easier to stamp with polishes that turn out less opaque with shallower plates. You can get the Betina plates here (I highly recommend Google Translate for this one). So, what do you think? Is too much thermal a good thing? Also, if you know of any other thermal polishes that work well for stamping, I would love to hear about them! I know that several of the Dance Legend polishes work very well - better than this one! I plan to pick up a few more later on down the road but am open to suggestions for other brands too! 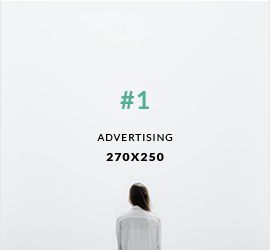 *This post uses Ebay affiliate links. Purchases through these links general revenue that help support this site.